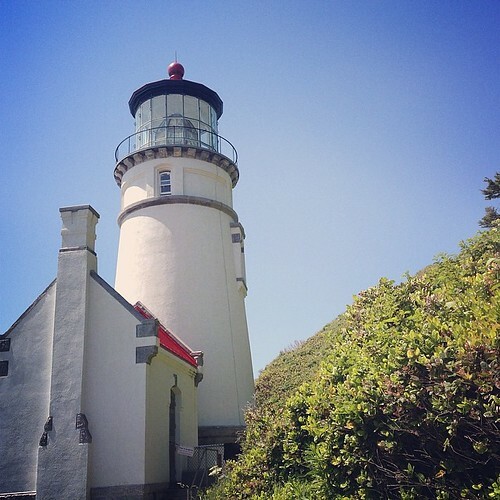 After a less than enjoyable stint as camp hosts at a State Park in California, coming to Heceta Head Lighthouse in Oregon has renewed our joy for volunteering. Also, we now realize that we prefer interpretive volunteering over campground operations. It is said that there is no better way to learn about a subject than by teaching it. Last summer we learned a lot about birds and the history of the Outer Banks, NC, by volunteering at the Pea Island National Wildlife Refuge. 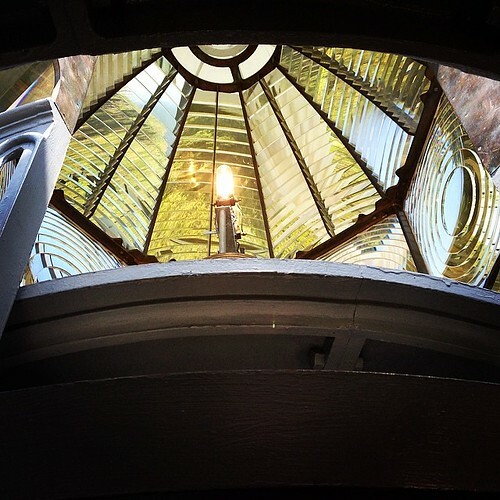 In just a few short weeks at Heceta Head Lighthouse on the Central Oregon Coast, we have a heightened appreciation for historic lighthouses and a firm foundation of understanding about the history of the Oregon Coast and Pacific Northwest, in general. Heceta Head Lighthouse is one of nine historic lighthouses on the Oregon Coast. It is said to be one of the most photographed lighthouses in the country, largely due to its scenic perch on a rugged headland. The lighthouse was rededicated last year after an extensive two-year renovation and is now in its full glory. The two ton 1st order Fresnel lens, the largest of its kind, is completely intact and is a masterpiece of 19th century design and engineering, with all the beauty and craftsmanship of high art. Built in the 1890s to provide a navigational aide for what was known as the “dark coast,” a 120 mile gap between lighthouses, it was and still is remote. The lighthouse keepers at the time had a lot of responsibility and work maintaining the light, but the real effort and toil was simply living on this wild and rugged frontier. Today, the lighthouse and keeper’s home are easily accessible and visible from the Pacific Coast Highway. It is open everyday for tours and staffed almost entirely by volunteers, which is us this month. This entry was posted in RV Lifestyle and tagged Carl Wasburne State Park Review, Central Oregon Coast, Heceta Head Lighthouse, Heceta Head Volunteer, Lighthouse host, lighthouse volunteer, Oregon lighthouse volunteer, Oregon State Park Volunteer, RV Volunteer, Seeking Workamping Jobs, Volunteer workamping, workamping on June 23, 2014 by The RV Nomads.